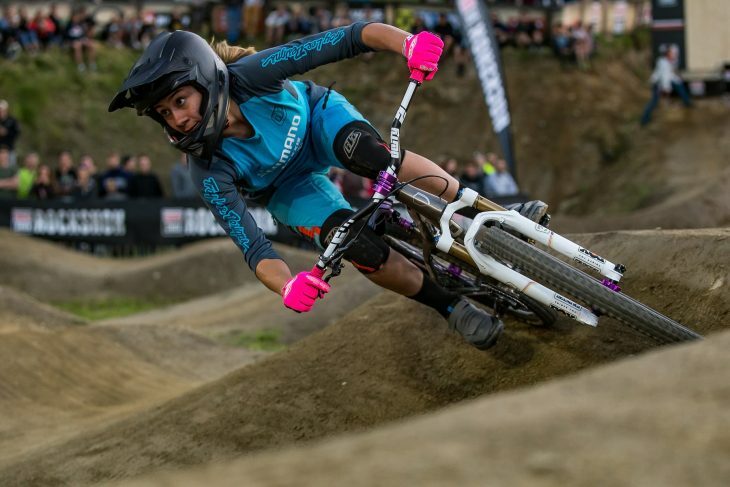 Video: Shifting Perceptions – A new dawn for women’s MTB? 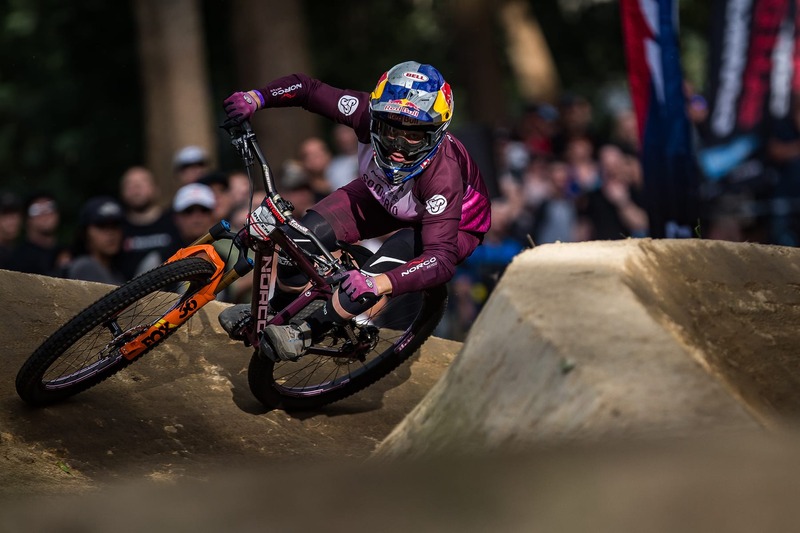 “It’s a time in mountain bike history like no other. For years, women were outnumbered and underrepresented. Their accomplishments, understated. Through it all, they kept charging forward, pouring blood and sweat into the dirt, paving the way for a hoped-for future – a future where women would be seen as good riders, the caveat “for a girl,” eliminated. 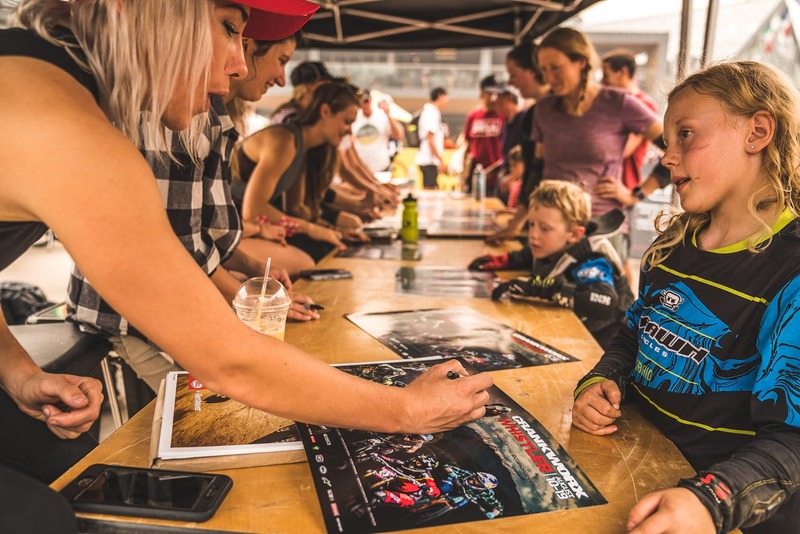 Obviously this is a series made in conjunction with Crankworx, and so it’s as much an advert for the event as it is a showcase for women’s mountain biking. But what do you think of the points made? Do you think some realities are being glossed over? Or is a bright new future on the horizon? Let us know in the comments below. Where’s episode 2? Am i just bad at searching or has it not come up/out? @kamratkalass I’ve just added that link in for you now! I’ve been thinking loads about this, and I’ve got lots of thoughts and still working them out. (Which is the sign of great editorial content of course..). So – apologies for how long this response is!! Inherently I hate segregation of women, I have never wanted to be treated as a ‘special case’ by ‘comparison with’ a man – years ago a female colleague said we were “women in a man’s world” (at the time music journalism) and I was horrified, never realised special allowances had to be made for me ‘as a woman’ (we were just talking to people & typing it up), and never expected or wanted any such thing. 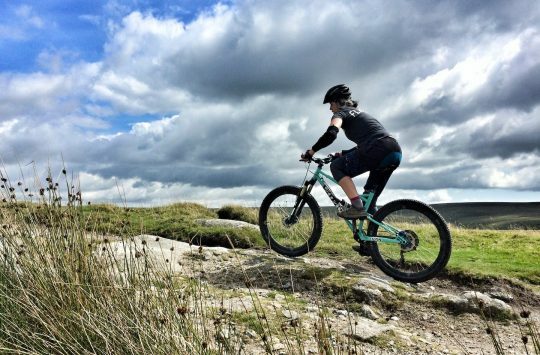 More recently – as a total newbie to mountainbiking – I’d assumed what you do on/with your bike is broadly the same regardless of gender. I just find the ‘bro culture’ quite funny, but to me it is >over there> and I don’t need to be part of it or care. That’s probably naive, I now realize, having watched this video. 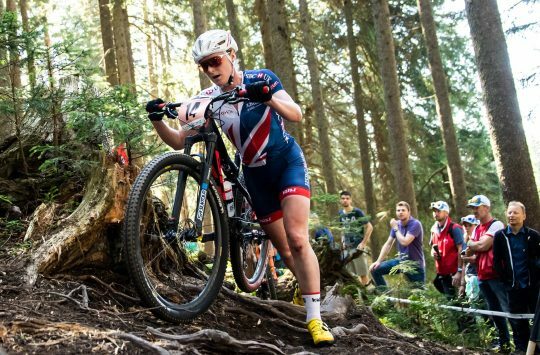 And I do totally welcome anything that encourages more women whether in competition or in any way at all to ride bikes – parity of prize money is definitely a great thing, huge kudos for that. For me, it was definitely a wee bit scary getting on a bike at age 48 and going out the first time, but the thrill and unbelievable energy of it outweighed anything else, and I suppose I’m old enough to just not care what people think! But also guess I’m just too new to riding bikes to be aware yet that it’s seen as in any way odd for me to go out on my crappy old bike, and I’m really sad that other women find it inhibiting. I had thought of going to a women’s only training course, but went to a mixed one and loved it. We’re all beginners regardless of men/women/non-binary – just people, riding bikes, making mistakes, getting better (hopefully!!) and having an amazing time. But if that’s not for someone else that’s fair enough. I love that there’s the opportunity to do it in a female group they’re more comfortable in. 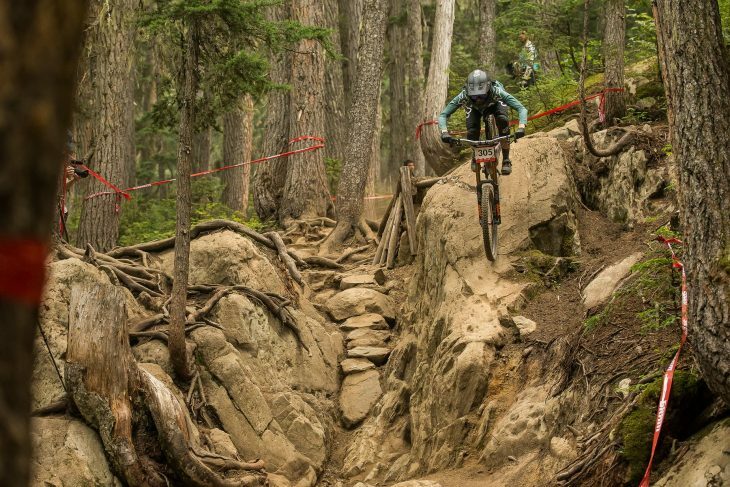 It’s not for me, but anything that gets more people riding mountain bikes should be applauded, whether it’s seeing women riding + writing about it in Singletrack magazine, or competing, or on Twitter/Instagram talking about it. Just ride the bike and nothing else matters – it’s joy, freedom + happiness. Just wish I’d discovered it sooner! (Thanks Singletrack btw, you’re the reason I did).